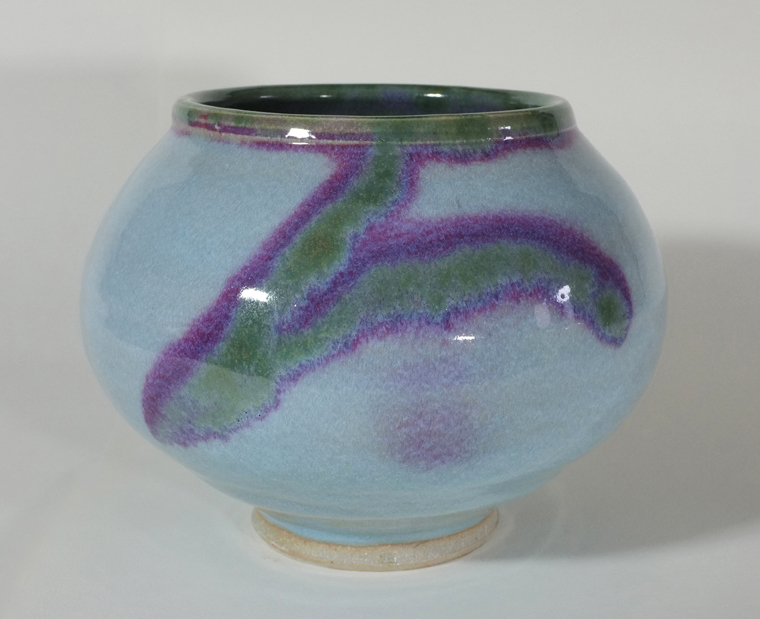 He has practised for over 45 years, exhibited widely in the UK and abroad, featured in several specialist publications, and won many awards. 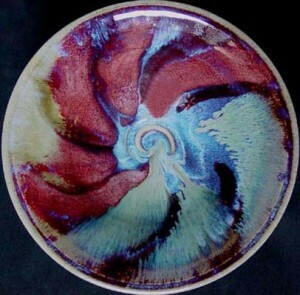 of the early Japanese, Chinese and Korean potters..
To achieve the multi-layered ‘colour within colour’ effect he reformulates the classical oriental glazing techniques: Flambe, Chun, Jun, Wood Ash, Copper Red, Lang-Yao, Shino, Iron Blues, Celadon, and high-fires the stoneware in a single burner natural gas kiln he designed and built himself. These processes produce exquisite and unique pieces that exhibit profound beauty and depth. News : My studio has moved to a new location 4 miles away from the Westgate Road Arts Centre studio. I am collecting a mailing list for people interested in my new studio and new work when ready. Please email me if you wish to be included on the list, for visits and studio exhibition events. Photos of studio build..
14″ sq. 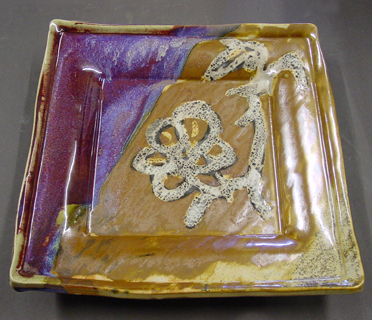 pressed platter, with a gold Shino and copper red glaze. 8″ dia. 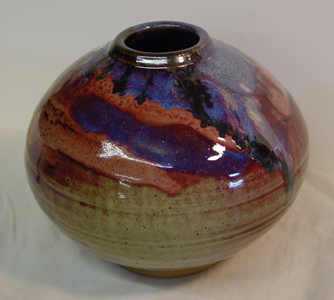 jar , copper red glaze overlaid with ash and iron. 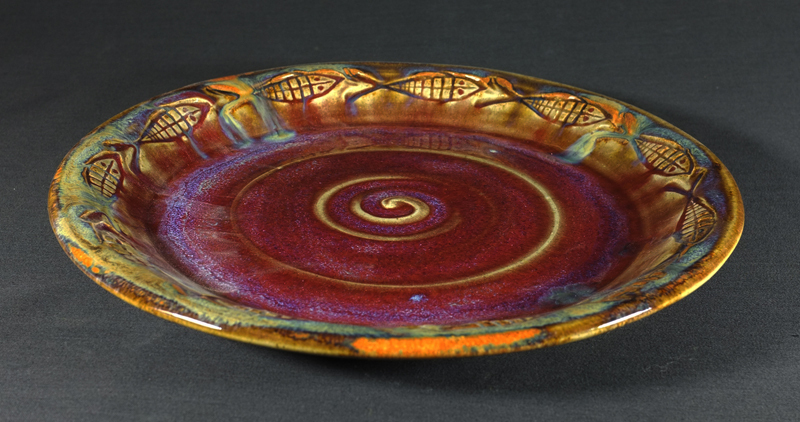 For pottery and ceramic repair and restoration – see restoration page. All photography and web design on this site is the copyright of Sam Keating-Fry and David Fry.